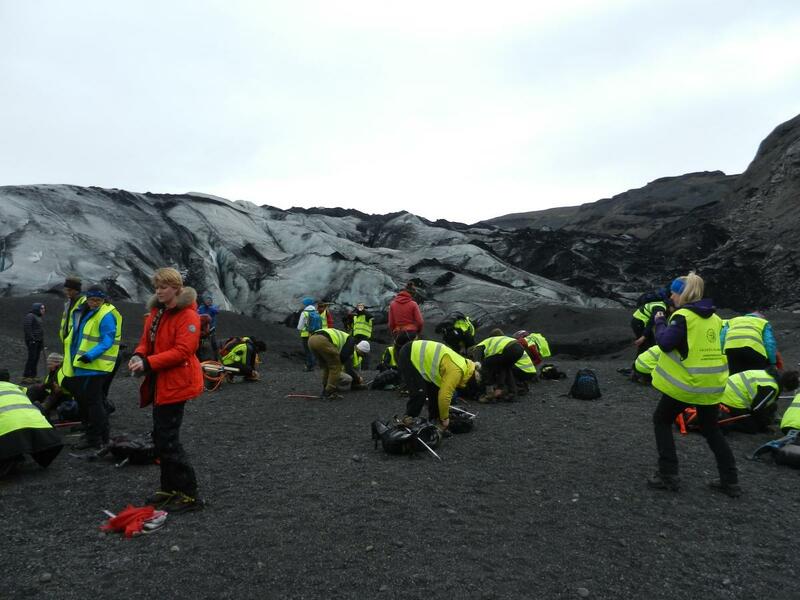 As a part of the course in glaciology the students measure the ablation on 2 locations at the snout of Sólheimajökull. 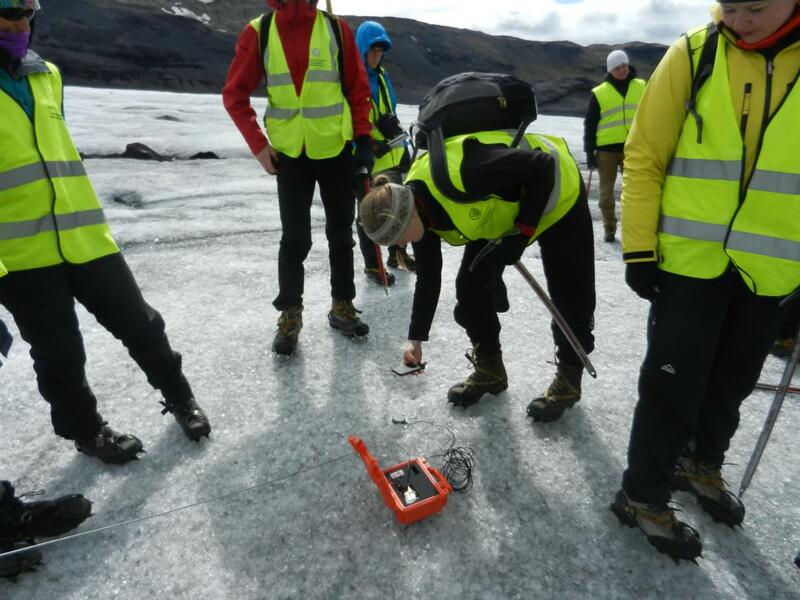 In previous years the ablation has been 7-9 m in the summer and additional 3 m in the winter so it is important to drill the wire deep enough into the ice. We got assistance from the Icelandic Mountainguides (http://www.mountainguides.is/), they lend the whole group crampons and ice axes and guide us up to the measurement locations. Thanks to Matteo Meucci for making measurements during the winter. 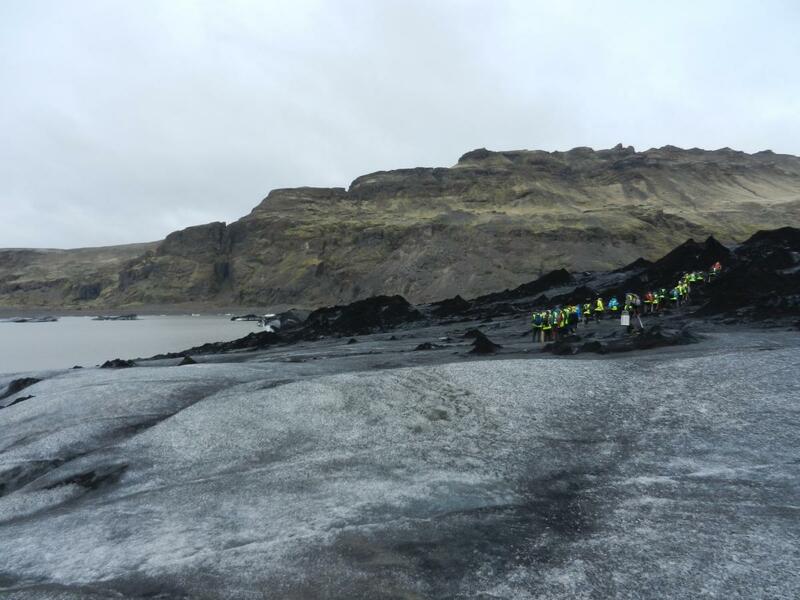 The glacier ascend, the group is walking towards big dirt cones on the snout of the glacier (photo Guðfinna Aðalgeirsdóttir). 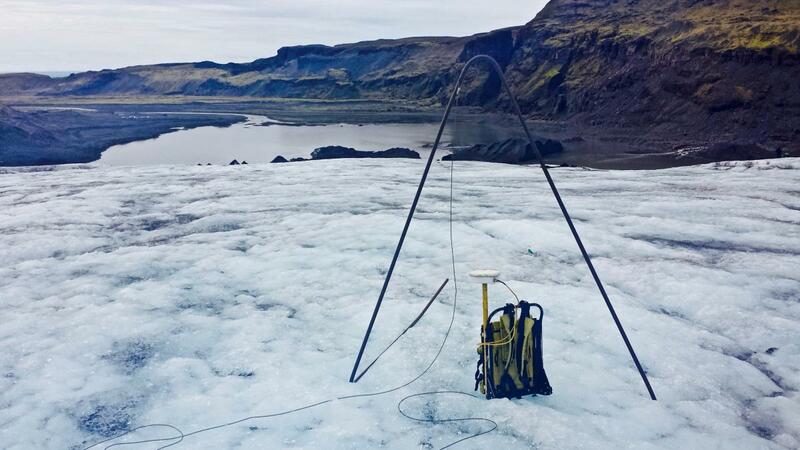 The end of the wire sticking out of the ice documented before leaving it to melt out during the summer (photo Guðfinna Aðalgeirsdóttir). 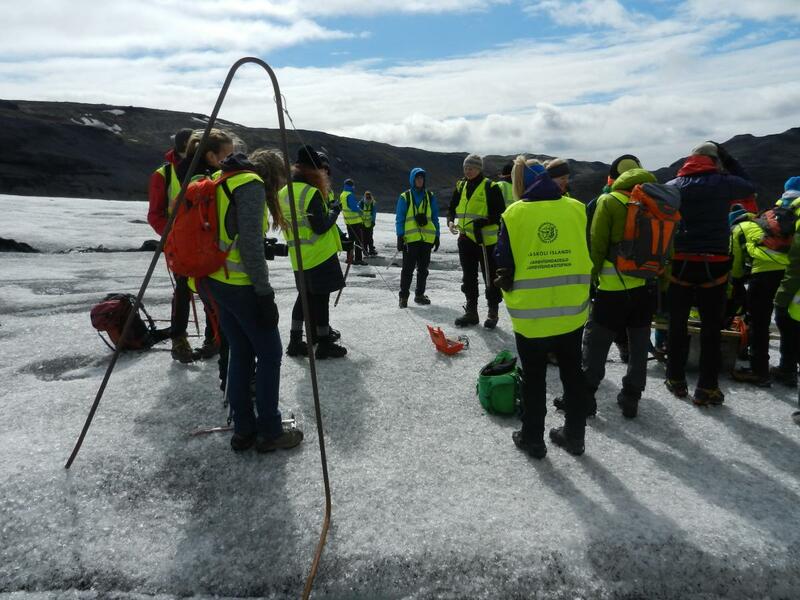 Walking back, down the glacier snout, after successful installation of ablation wire in spring 2016 (photo Guðfinna Aðalgeirsdóttir). 10. September 2016 the wire was visited again and it was nearly all out, when visiting 3. 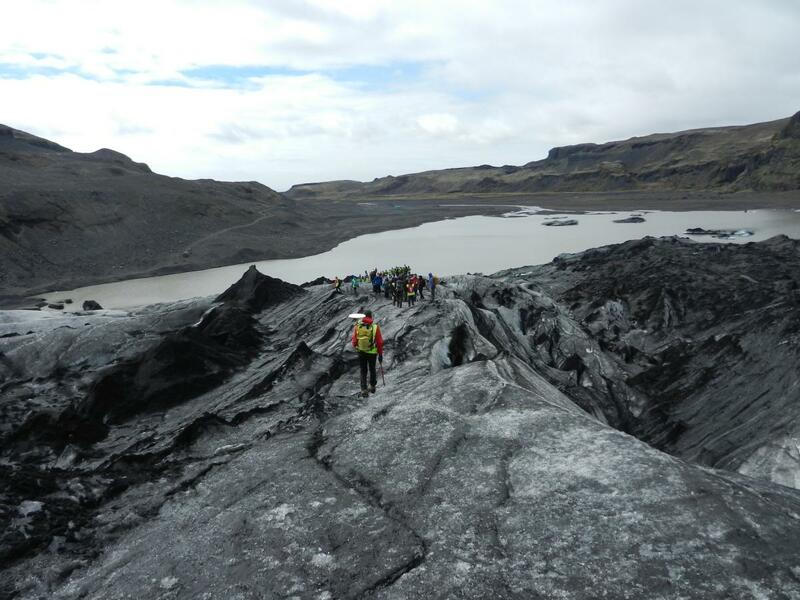 October 2016 the whole wire had melted out (photo Guðfinna Aðalgeirsdóttir). 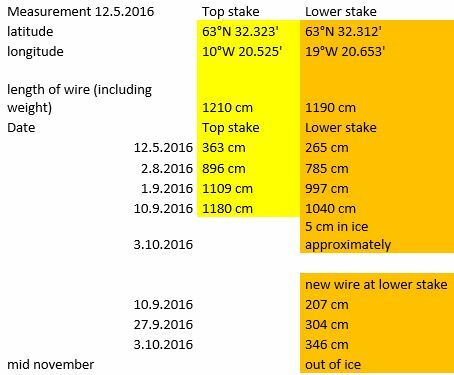 The first measurement of the length of the wire that comes out of the surface was made 12.5.2016. Thanks to Matteo Meucci for making measurements during the winter.